Line 2 large rimmed baking sheets with parchment paper. Place racks in upper and lower thirds of the oven. Remove the leaves from the stems of the kale and roughly tear them up into large pieces. Wash and spin the leaves until thoroughly dry. Add the kale leaves into a large bowl. Massage in the oil until all the nooks and crannies are coated. Combine the mustard seeds, mustard powder, garlic powder, paprika and salt in a small bowl. Sprinkle on the spices/seasonings and toss to combine. Spread the kale onto the prepared baking sheets in a single layer, being sure not to overcrowd the kale. It won’t get crispy if it’s crowded. Bake for 10 minutes, rotate the pans from top to bottom, and bake for another 12-15 minutes more until the kale begins to firm up. The kale will look shrunken, but this is normal. 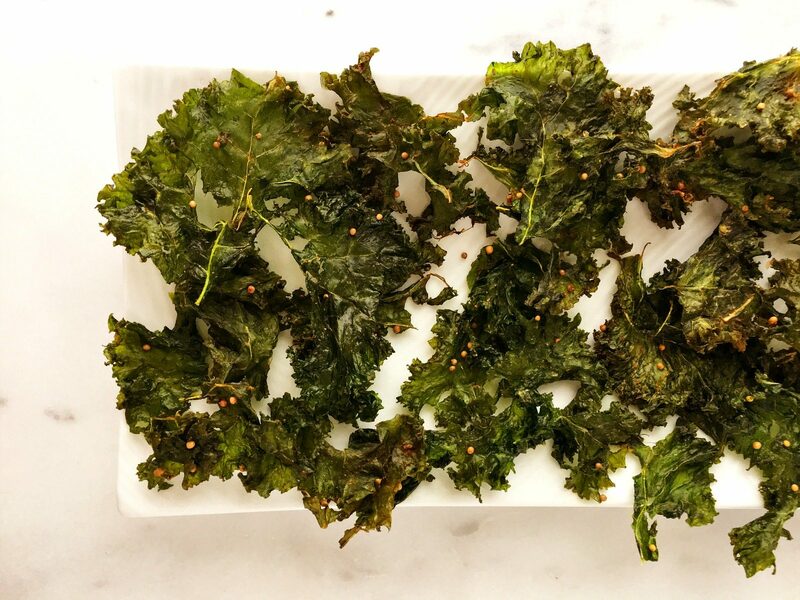 Cool the kale on the baking sheets for 3 minutes before serving. 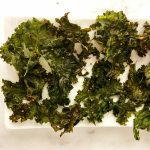 Enjoy immediately as the kale chips lose their crispiness with time. You may have to repeat this process again if you have any leftover kale. Can use canola oil, or melted coconut oil instead of extra virgin olive oil. Use smoked paprika for another flavour twist.